Linda is a Colorado native and was raised outside the small town of Hotchkiss where she learned from her father the appreciation of the great outdoors and the rural way of life. She graduated from the University of Colorado, Boulder with a Bachelor of Science in Commercial Recreation. Following a number of years working at Peaceful Valley Lodge and Guest Ranch near Lyons, Colorado she and husband Tom began their next chapter at the Bar NI Ranch in Stonewall, Colorado. For fifteen years, Tom and Linda managed the ranch and its lodge focusing on environmental land and wildlife stewardship, livestock management, and guest services for the ranch owners and their personal and corporate guests. Many environmentally focused collaborative initiatives were accomplished and heartfelt relationships were formed. After leaving ranch and lodge management Linda’s path has been two fold. She thoroughly enjoys her work at Trinidad State Junior College as Executive Assistant to the President. Before this position, she served the College as Office Assistant for the Trinidad State Junior College Educational Foundation and as Trinidad State STEM Outreach Assistant supporting K-12 area schools. 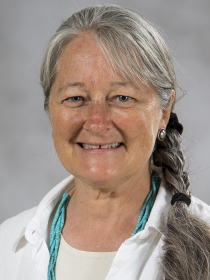 She has been a co-coordinator of Southeast Colorado Rural Philanthropy Days, a statewide initiative through the Colorado Resource Center and Anschutz Family Foundation of Denver. She is currently a board member for Mt. Carmel Health, Wellness and Community Center. Additionally, Linda continues to be dedicated to each nonprofit organization developed while she and Tom were at the Bar NI Ranch, those being the Bar NI Ranch Community Fund, the Purgatoire Valley Foundation (www.purgatoirefoundation.org), and the Culebra Range Community Coalition whose flagship programs are the Trinidad Water Festival and the Culebra Range Scholarship Program.